Russell Boyd gives The Machinima Expo festival a tour of the history of editing and applies editing rules to machinima. 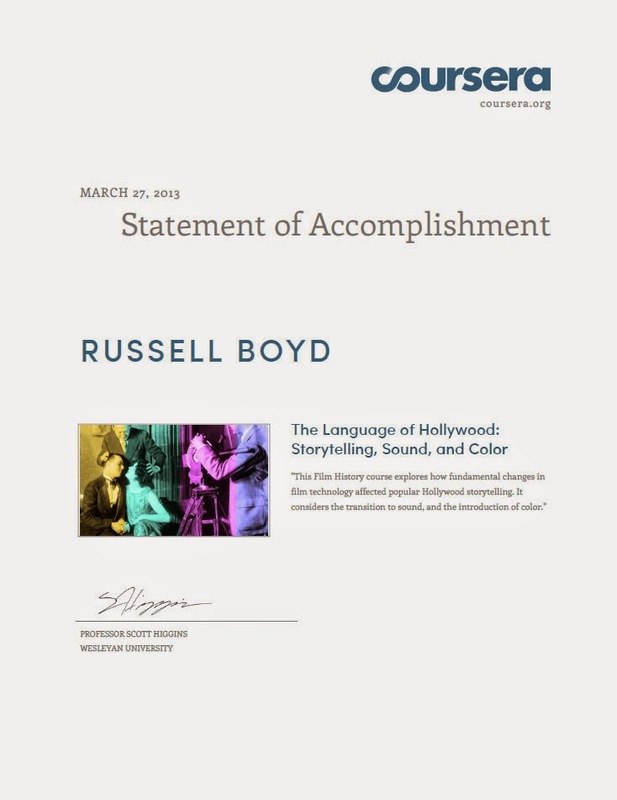 Editing Your Video to Tell a Coherent Story - Russell Boyd from Ricky Grove on Vimeo. 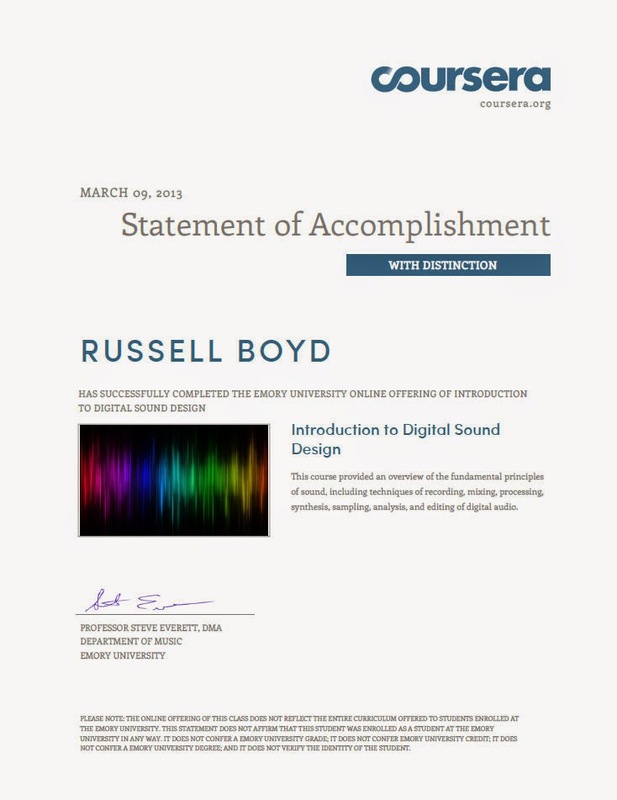 Russell Boyd successfully completed two online certified courses - Introduction to Digital Sound Design from Emory University and The Language of Hollywood from Wesleyan University.